Sandy Lantz and Gretchen Wahlberg's new follow-up of their best-selling book Drum it Up! Here are some favorite children's books, all readily available, presented with Orff process lesson plans, songs, games, and activities. HARRISONBURG, Va. - Oct. 16, 2013 - PRLog -- In Creative Bits with Children's Lit, best-selling favorite children's books come alive in music classrooms everywhere with songs and creative lesson plans developed by best-selling authors Sandy Lantz and Gretchen Wahlberg, successful presenters in level courses and conferences around the country. Each book, while being read aloud in class, is embellished with songs, games, movement, puppetry, and drama. There's never been a better way to present important music concepts than through engaging young musicians with stories, reading, and song. In Creative Bits With Children’s Lit, Sandy and Gretchen have focused on nine books which vary in reading levels, genres, and subjects. As districts across the nation adopt Common Core Standards, these lessons integrate language arts and music while maintaining the integrity of both subject areas. Language arts, with rhyming words, metric call and response speech phrases, patterns, and onomatopoeias, lends itself to a perfect blend with music. With poetry, folk tales, fun stories, and books addressing social issues, great connections have been made with teachers and students between books and music. These lessons adapt to multi-age groups as well as mainstreamed special needs classes. Differentiated instruction is integrated with a thoroughly kid-tested teaching process. This great new release encourages music teachers everywhere to get the “Bug” and open a book! 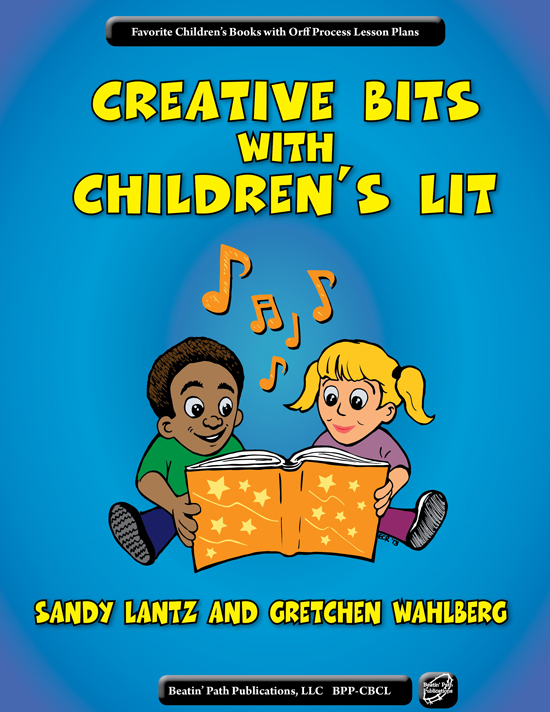 Creative Bits with Children’s Lit is AVAILABLE NOW! Look at a preview on Sandy and Gretchen's website! Suggested retail price for this new book is $24.95. School discounts are available. More information at www.sandygretchen.com. : Beatin' Path Publications, LLC - Music That Works!